BOCA RATON, FL – After three away games to start the 2019 United Premier Soccer League season, Boca Raton Football Club has returned home to The Shipyard to take on Palm Beach Flames in the 2019 Home Opener on Friday, April 12. 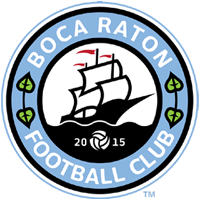 After a heartbreaking 1-0 loss to open the season to Port Saint Lucie United, Boca Raton FC has had a pair of positive results to find itself in 4th place in the standing with one less game. Boca Raton FC defeated Palm Beach Breakers 1-0 in Palm Beach Gardens, then defeated Palm Beach Spartans 4-2 in comeback fashion after being down 2-1 at the half. The Flames have played one game this season falling to Port Saint Lucie United 7-2. Tickets for the matchup are still available by heading over to www.bocaratonfc.com/tickets. This will be the first matchup between Boca Raton FC and Palm Beach Flames. In the last two games, the Tunisian national has found the back of the net both time for the Boys in Blue and will look to continue the scoring run this Friday as the Flames head down to the Shipyard.